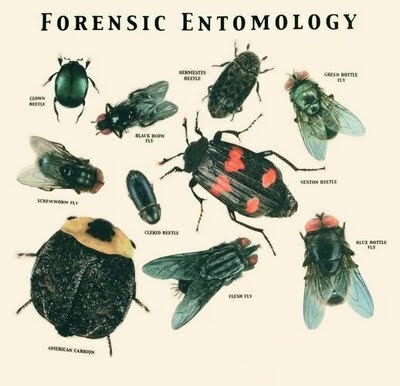 Forensics – All Things AAFS! Unusual-ology: How to get A-Head in Medieval England. This is a recap of lecture which I attended during my degree. It focused on an extremely weird case study which the lecturer had been presented with, a skull which had preserved soft tissue with ‘links to medieval witchcraft’. Within this lecture we were presented with a case study of a skull which had preserved soft tissue. The lecturer talked about how he had stumbled on this rare artefact in a peculiar museum which dealt in Wiccan and witchcraft. There it had a story allocated to it to entice an audience and raise curiosity. This story was of medieval origins where brutal executions took place. This skull belonging to an execution victim was stored in a Church inside a wooden box covered in numerous markings of figures in communal scenes; these figures are depictions of ‘Green Men’. Intrigued by these mysterious figures and why they appeared on a wooden box along with scrape marks, I decided to do some research of my own. I found that ‘Green Men’ are deities of nature Gods which are often found within Churches and a symbol of pre-Christian religions often in Pagan origin. Could this skull have been kept as a relic? Does it belong to an important figure from medieval times? But after the War was it stolen from the Church and sold onto this museum? What first stood out was that the skull had remains of eyes which mummies do not possess at the time of burial. Also from examining the skull and comparing the skulls to known parameters it was discovered to be the skull of a 35 to 45 year old woman. More tests were run using modern day technology such as MRI scans and CT scans, the MRI scan failed to show anything due to the lack of hydrogen atoms within the skull due to the dehydrated state it has deteriorated to. But there were surprising results from the CT scan which showed that there was a grey area in the back of the skull, could this be preserved brain? It turned out it was actually tree sap, which backs up the theory that this skull is actually a mummy. Egyptians used pine resin to preserve the bodies as its more ‘sacred’ than glue. There was also evidence that the septum of the skull had been broken by something, which is common in the procedure for mummification. To get a definitive answer to this riddle the final step was to use carbon dating; this helped determine that the skull is in fact a mummy and not a medieval relic or execution victim. The use of all these modern technologies, theories and knowledge gained from previous case studies helped shine a light on the true origins of this skull. Other artefacts have been found to be something they’re not and are now being traced back to their true beginnings and having a new story assigned to them, for the future generations to be marvelled just as I was during this riveting lecture.